Buy 3 single dose kits, Get 1 FREE! Bis-GMA-free, light cure resin core material. 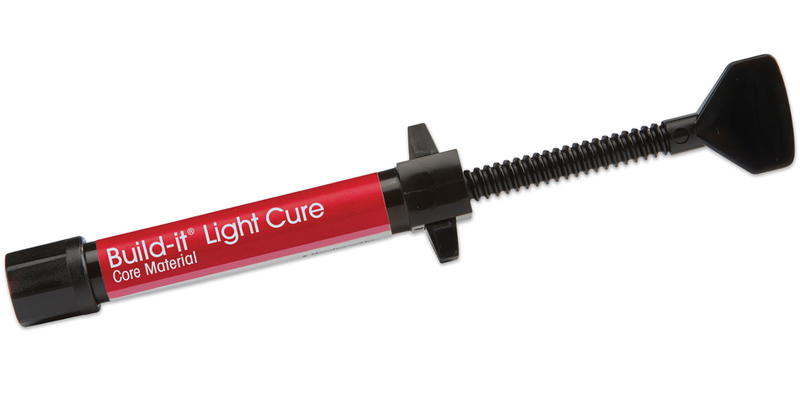 High translucency with a 10mm depth of cure capability in as little as 20 seconds. Non-sticky, sculptable handling for quick and easy adaptation to the tooth and post. Preps like dentin without ditching when transitioning to tooth structure. Translucent color and highly radiopaque. Contains: 30 x 0.25g capsules. Contains: 2 x 5g syringes.